Gregory Efthimios "Greg" Louganis was born today, January 29, in 1960. He is an American Olympic diver, LGBTQ activist, and author who won gold medals at the 1984 and 1988 Summer Olympics, on both the springboard and platform. He is the only male and the second diver in Olympic history to sweep the diving events in consecutive Olympic Games. He has been called both "the greatest American diver" and "probably the greatest diver in history." Louganis was born in El Cajon, California, and is of Samoan and Swedish descent. His teenage biological parents placed him for adoption when he was 8 months old and he was raised in California by his adoptive parents, Frances and Peter Louganis. He started taking dance, acrobatics and gymnastics classes at 18 months, after witnessing his sister's classes and attempting to join in. By the age of 3, he was practicing daily and was competing and giving public performances. For the next few years, he regularly competed, and performed at various places. As a child, he was diagnosed with asthma and allergies, so to help with the conditions, he was encouraged to continue the dance and gymnastics classes. He also took up trampolining, and at the age of 9 began diving lessons after the family got a swimming pool. In 1978, he joined the University of Miami where he studied theater. In 1981, he transferred to the University of California, Irvine, where in 1983 he graduated with a major in drama and a minor in dance. As a Junior Olympic competitor, Louganis caught the eye of Sammy Lee, two-time Olympic champion, who began coaching him. At 16 Louganis took part in the 1976 Summer Olympics in Montreal, where he placed second in the tower eventi. Two years later, Louganis won his first world title in the same event. Louganis was a favorite for two golds in the 1980 Summer Olympics in Moscow, but an American boycott of the games prevented him from participating. He was one of 461 athletes to receive a Congressional Gold Medal years later. Louganis won two titles at the world championships in 1982, where he became the first diver in a major international meeting to get a perfect score of 10 from all seven judges. At the 1984 Los Angeles Olympics, with record scores and leads over his opponents, Louganis won gold medals in both the springboard and tower diving events. He won two more world championship titles in 1986. At the 1988 Seoul Olympics, his head struck the springboard during the preliminary rounds, leading to a concussion. He completed the preliminaries despite his injury. He then earned the highest single score of the qualifying round for his next dive and repeated the dive during the finals, earning the gold medal by a margin of 25 points. In the 10m finals, he won the gold medal, performing a 3.4 difficulty dive in his last attempt, earning 86.70 points for a total of 638.61, surpassing silver medalist Xiong Ni by only 1.14 points. His comeback earned him the title of ABC's Wide World of Sports "Athlete of the Year" for 1988. From 1983 to 1989, Louganis was in a romantic relationship with his manager, R. James "Jim" Babbitt. Louganis has described the relationship as abusive, saying that at one point in 1983, Babbitt raped him at knifepoint. Louganis also accused Babbitt of taking 80 percent of Louganis's earnings. Six months before the 1988 Olympics, Louganis was diagnosed with HIV; he had contracted the disease from Babbitt. His doctor placed him on the antiretroviral drug AZT, which he took every four hours round-the-clock. In 1989, Louganis obtained a restraining order against Babbitt. Babbitt died of AIDS in 1990. For his 33rd birthday in 1993, Louganis held a "final birthday party" for family and friends, as a way to say goodbye; he was in failing health and thought he would die of AIDS soon. Louganis publicly came out as gay in a pre-taped announcement shown at the opening ceremony of the 1994 Gay Games, having been convinced to do so by Gay Games organizers. Even before then, he led what has been described as "an openly gay life." In 1995 he announced that he was HIV-positive, tied in with the release of his memoir, Breaking the Surface. In a 1995 interview with Barbara Walters, Louganis spoke publicly for the first time about being gay and HIV-positive. 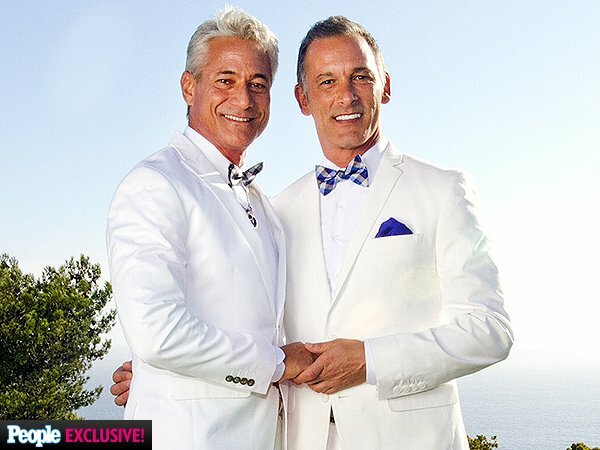 Louganis announced his engagement to his partner, paralegal Johnny Chaillot, in People magazine, in June 2013. The two were married on October 12, 2013. 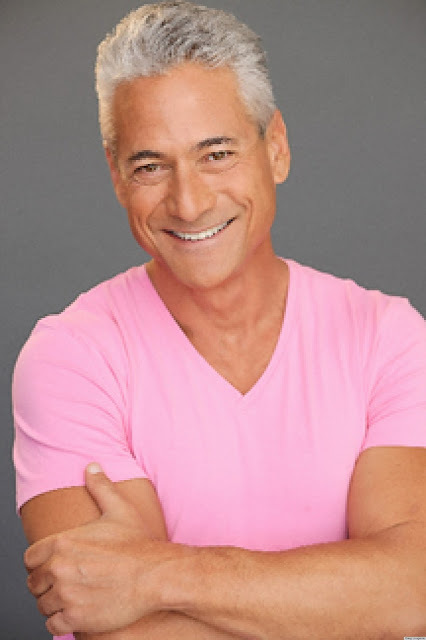 Louganis is a gay rights activist, as well as an HIV awareness advocate. He has worked frequently with the Human Rights Campaign to defend the civil liberties of the LGBT community and people diagnosed with HIV/AIDS. In the October/November 2010 issue of ABILITY Magazine, Louganis stated that the "Don't Ask, Don't Tell" policy was "absurd," "unconstitutional," and a "witch-hunt." He added that "gay men and women have been serving this country for years … [it's] basically encouraging people who are serving our country to lie to each other."